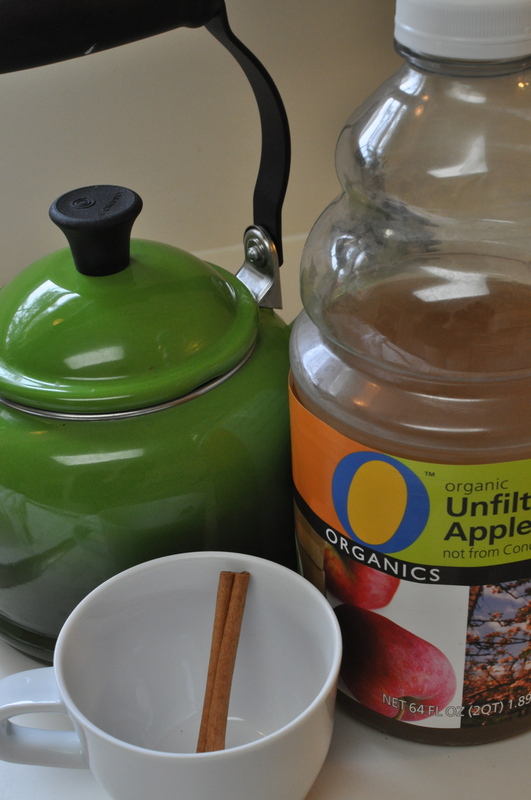 Apple cider has always been a staple in my family during the fall and winter seasons. We would have a kettle permanently set on the island of our kitchen almost all winter long. We cherished my mom having it out after our long frozen-toed walks home after a day of sledding or even when we just wanted to make snow forts in the front lawn, we knew what was brewing inside. Even when we cut down our Christmas tree, we would warm up at the Maguire Tree Farm with apple cider. It’s what you do! Since moving all around the states, I haven’t found my mom’s simple cider recipe, and I would coach coffee houses on the “extremely simple art” of making cider. First, I would ask if they had real apple juice or cider mix. We needed the apple juice. I like it simple. The pre-mixed ciders come with too much (in my opinion) sugar and spices. I know it’s weird because I’m a sweet fanatic – just not in my cider! Honestly, I wish I would have asked my mom the secret to her recipe but here’s my super simple recipe for cider. Heck, maybe it’s the same! In a tea kettle, pour in apple juice. Warm juice until hot. 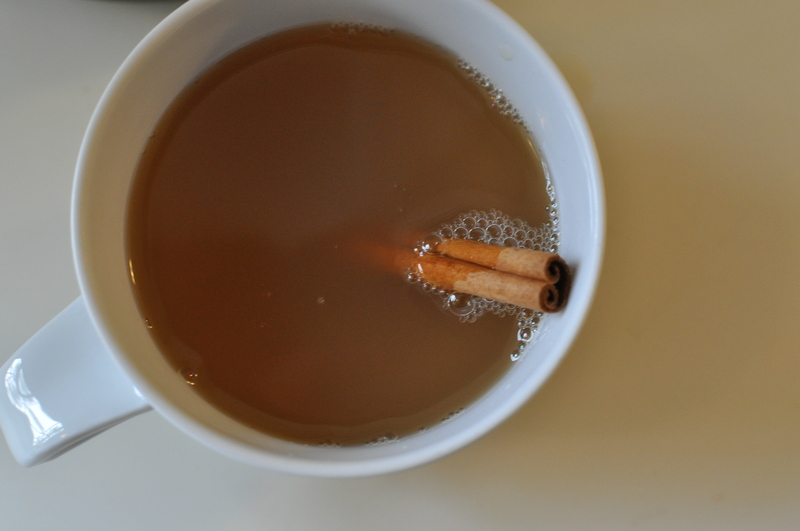 Pour apple juice into the cup with the cinnamon stick; let cool while mixing it with the cinnamon stick. That’s it. Serious. 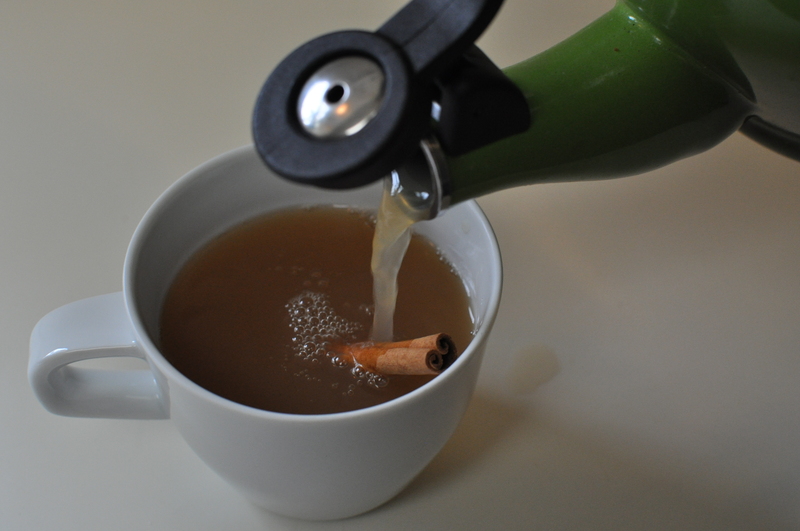 Sometimes, I even dilute the apple juice a little. Two parts apple juice, one part water. I can still hear my mom saying how “fancy” the cinnamon sticks were, and it makes an ordinary weekend feel a little more magical. I hope you feel the same. Enjoy! Put your feet up, start the fireplace, and enjoy! 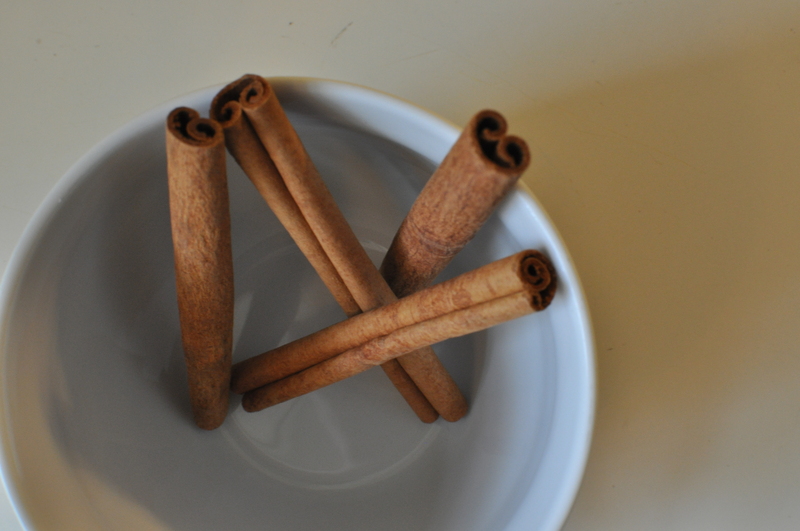 Oh… and you can have multiple cups with one cinnamon stick! They’re truly fabulous!